With Maryland Wine Month fast approaching we have compiled a suggested promotional toolkit. 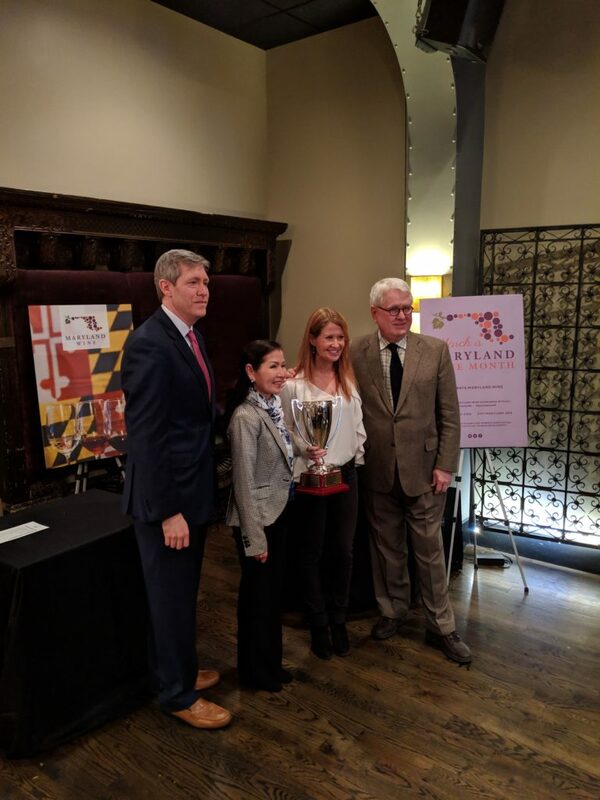 On Monday, January 21, 2019 the Maryland Wineries Association was joined by First Lady Yumi Hogan to present awards to recipients of the Best In Class and Best In Show categories from the August, 2018 Governor’s Cup Competition. Consisting of more than 90 licensed wineries, the Maryland wine industry has an economic impact of more than $750M in the state and is supported by more than 900 acres of Maryland-grown grapes. The First Lady presented the Best In Class winners their awards and invited Port of Leonardtown Winery and Great Shoals Winery to accept their awards for the Governor’s Cup and Jack Aellen Cup, respectively. Join us for two events on Monday, January 21 in Annapolis—both of which will host legislators and members of the tourism community. Join First Lady Yumi Hogan for a reception to honor the Best in Class winners from the 2018 Governor’s Cup Competition. Sample the top wines from the competition and enjoy lite fare at Red Red Wine Bar in Annapolis. This is a fantastic event hosted by the Restaurant Association of Maryland and which MWA sponsors. We host two tables from which we pour samples to legislators, tourism officials and agency leadership. 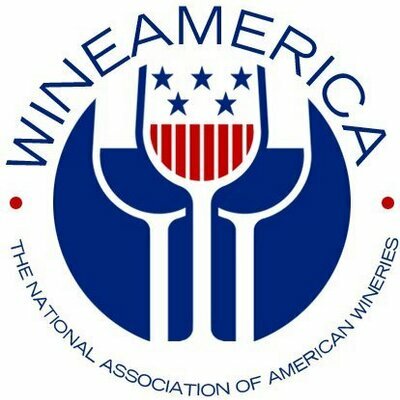 We’re seeking participants to bring and pour a few bottles of wine from 5-7:30pm at Hotel Annapolis (formerly Loews Annapolis). Details here. The food is always incredible and the opportunity to educate legislators (especially new ones!) is unmatched. If you’d like to attend, email Kevin Atticks (kevin@growandfortify.com). The first 10 winery representatives receive complementary admission. What is the area around Crow Vineyard & Winery historically known for? Kent County Md. is a Rural county mostly know for row crops; corn, soybeans, wheat, hay and dairy. There are a variety waterways that attract boaters in the summer months. Chestertown a quaint colonial town has many shops and restaurants. Rock Hall is on the Chesapeake bay and features a tourist industry in the summer months. Know for restaurants that serve local seafood. Crow Vineyard & Winery is located on a third generation working farm, what has the farm produced throughout the generations? The farm has been in Roy Crow’s family for 3 generations. For many years the 365 acre dairy farm was an active farm. In 2001 the dairy herd was sold and Roy purchased a Nationwide Insurance Company in Middletown, Del. In 2006 Roy meet Judy and they set on a path to diversify the family farm. 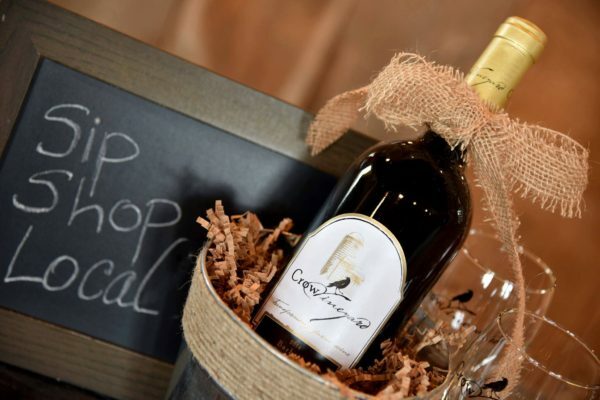 How did Crow Vineyard & Winery come to be the business that is currently operating on the farm? In 2008 Roy and Judy got married and renovated the 1847 farm house for a farmstay B&B. They had 10 head of angus beef and began to increase the herd, which is now 100 head. Beef sales, farmstay B&B and the planting of a vineyard was all part of the planning for the agritourism experience. In 2011 they built a winery in a space that used to be a dirt floor equipment shed. The winery today produces 5,000 cases-per-year in a state of the art facility. The vineyard has 12 acres of grapes that Brandon Hoy their son manages. Where did the idea of making the farm a destination for travelers to visit and stay originate? The idea was Judy’s. It takes new vision to breath life into an old farm life. How important is it that your business educates people while keeping them engaged and entertained? Judy has 30 years experience in higher education and firmly believes that knowledge and experience resonate with folks that have not been able to stay on a working farm. Guest are offered to feed the animals, help in the vineyard, tour the winery, and brush the mini horses. How many grape varietals are grown on the vineyard and which grape stands out as the “favorite” in the mind of the Crow team? How imperative is it to your business to host unique experiences and events? When a winery opens its doors to find their way to customers you try anything. We had a commitment to wine & food-centric events/experience that offer education. While we tried a variety of events we now believe we now know our niche. A quality tasting room experience for our guest means that the owners are in the tasting room spending time with guest, telling the story while supporting the sales team. We are farmers and connecting our customers to our farming community is also very important to us. We serve local cheese in our tasting room, and local ice cream both products made in conjunction with our wines. Our family is very important to us and we share our family with the customers, also we treat our staff as family. The customers sometimes think everyone that works for us is a relative. This means a great deal to us. We believe in quality animal care and sustaining the land that we are blessed to care for. We garner great pleasure allowing our customers to come to know our commitment to growing quality animals, crops and making quality wines. Are there any new or specials releases planned for 2019? Estate grown Malbec – a new Vidal dessert – a new Malbec and merlot rose. 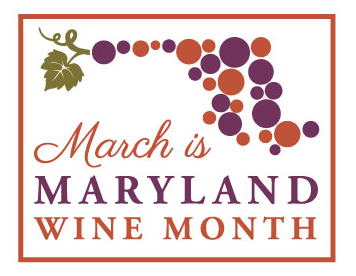 Do you have plans for Maryland Wine Month? Crow Vineyard & Winery will host a Chili Cook Off on March 3rd–local restaurants bring on the chili and guests vote for the best one. All proceeds from this event go the the Kent County Humane Society. We’ll also host a Oyster and Wine event on March 9th. We have a Wine Dinner at the Kitty Knight House, a historical restaurant on the Sassafras River. Beat the winter duldrums with a family-style dinner on March 23. During Maryland Wine Month guests will be offered tastings of local cheese and Crow Farms summer sausage or flank steak samples each weekend.